Naturally, as an arts centre we really know how to manage an event! But did you know that we've also played host to all kinds of social occasions including wedding receptions, anniversary and birthday parties? We love a challenge and can provide dynamic spaces, technical know-how and lots of personal touches to make your event a special and memorable occasion for you and your guests. Our in-house experts can help with any technical requirements, including access to state-of-the-art projection, sound, lighting and live streaming facilities. We can also offer full stage management and production support for your event. For a quick look at the spaces we recommend for functions and parties, see the table below. The English Studio is quirky and unique, with large windows allowing for stunning views over Cannon Hill Park and the River Rea. Capacity: 0-90. Pinsent Masons Room 2 is perfect for small boardroom meetings or sit down dinners. This room is fully equipped, spacious and multi functional. Capacity: 0-30. 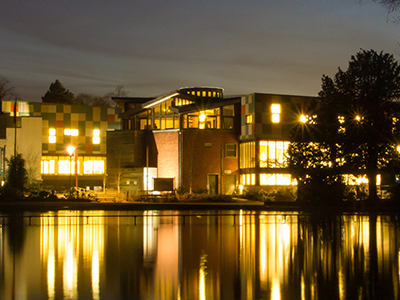 The Foyle Studio is one of our newest and largest studio spaces. 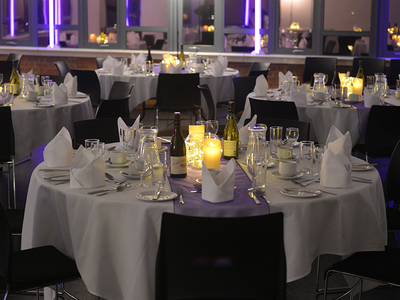 As an attractive modern space with great views, it is the ideal venue for a party or reception. Capacity: 0-175. ​One of our larger spaces, the Theatre comes equipped with the latest in lighting and sound technology, making it an ideal venue for a larger social occasion. Capacity: 0-219. The Deloitte Room is an attractive room with large windows. Conveniently situated next to the Arena bar, and with catering offered inside the space it is ideal for private parties and functions. Capacity: 0-85. 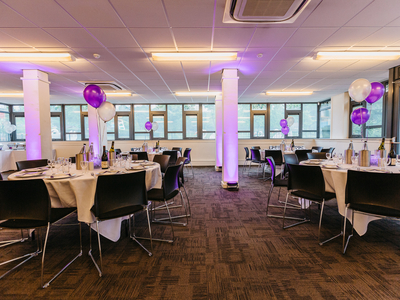 With sweeping views over Cannon Hill Park and original 1960s architecture, the Bryant Room is an unusual but charming space for your event. Capacity: 0-30.